A programmable logic controller (PLC) is an industrial computer with inputs and outputs used in the control and automation of industrial processes. A PLC is designed to withstand more harsh factory conditions and provide real time deterministic control and monitoring. Yokogawa PLCs offer the fastest update rates for high speed applications and are electrically and environmentally robust. 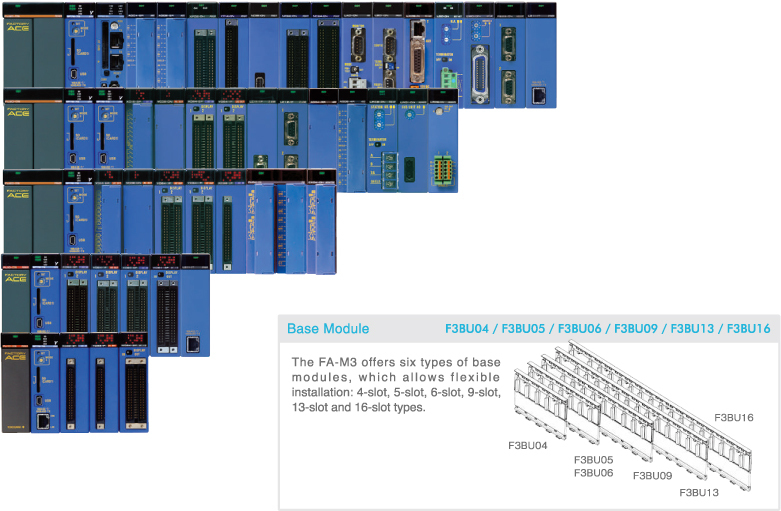 The FA-M3 provides system expandability, unlimited by system size, and also allows the use of common spare parts. To expand the system, simply add desired modules, all of the same size. The installation leaves ample room within the control panel for standardization and efficiency improvement through panel design. 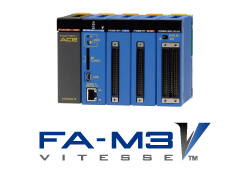 With the FA-M3 PLC, a developer can give full rein to his creativity to build systems and realize control that fits his applications. The main unit accommodates up to seven sub-units for installing additional I/O modules. This provides up to 8,192 range-free I/O points. Continuous Control Solutions ("CCS") has been providing advanced turbo machinery solutions to global markets since 2000 with a steadfast focus on developing advanced control algorithms implemented in the customer's choice of PLC or DCS hardware platform. CCS Turbo Machinery Control Solutions have been implemented on a variety of hardware platforms including Allen Bradley ControlLogix, Honeywell C300, Siemens S7, ABB AC800M and Emerson DeltaV. Continuous Control Solutions ("CCS") specializes in industrial turbo-machinery control challenges for various types of industries. CCS' turbo-machinery technology and patented control algorithms are hardware platform independent and have been successfully implemented on different hardware platforms since 2004. In recent years, energy demand is tending to increase year by year due to economic growth in emerging countries. To help protect the global environment, renewable energy sources such as wind power, solar power and geothermal heat are attracting attention as alternative power sources to fossil fuel.